View of Amity Street and Amherst Academy building, where Emily Dickinson went to school. The Academy building is three and one-half stories and federal style. The building was razed in 1868. Rev. David Parsons House is on the right. The Jones Library is now located directly across the street from the site where the school once stood. 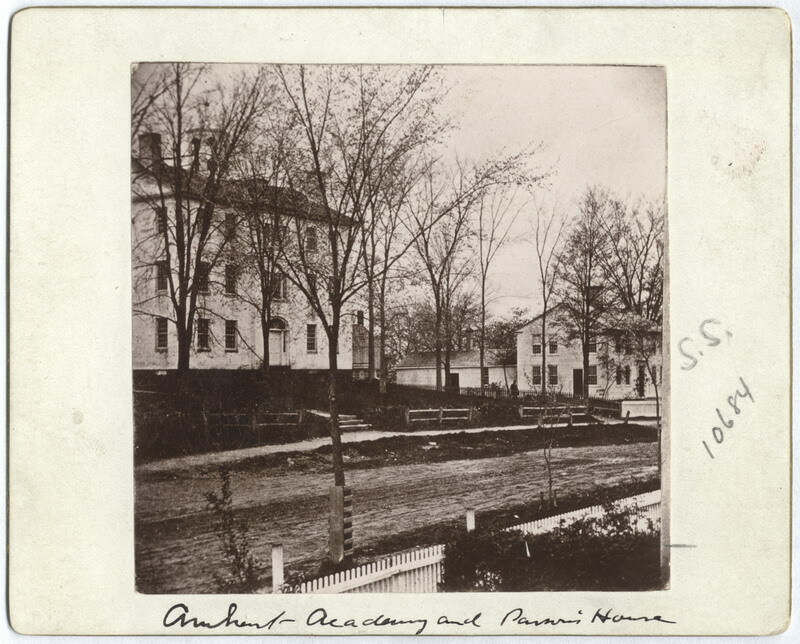 “Amherst Academy and Parsons House,” Digital Amherst, accessed April 21, 2019, http://digitalamherst.org/items/show/776.